The Cessna Citation CJ3 is designed with one thing in mind, high performance and reliability at an affordable cost. It has excelled in all these areas, giving travelers flexibility when making flight plans. 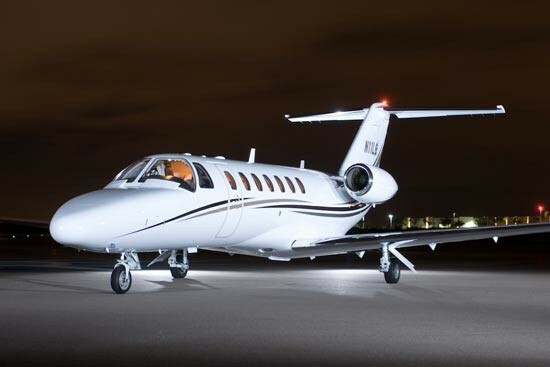 The Cessna Citation CJ3 is designed to be efficient in both purchase and operation costs while still maintaining a decent level of comfort and competitive range. The sixth generation of the Citation Jet series, the Citation CJ3 is cost effective without sacrificing reliability and high performance. The cabin of the Citation CJ3 comfortably seats up to nine passengers and measures approximately 4.7 feet in height, 4.8 feet in width and 15.8 feet in length. It is equipped with fourteen windows that display LED lights, giving the cabin a spacious feel. The cabin also features 110-volt AC power outlets with folding tables for productivity during the flight and a full rear washroom. The baggage compartment is astoundingly large; it can accommodate 74.4 cubic feet of luggage, including suitcases and sports equipment. For more information on chartering a Cessna Citation CJ3, price out your flight here for an instant quote.